According to her email to the Killerbunnies, she has been a computer hacker since she was seven and that the scars on her face are from two separate incidents involving her hacking into a system of some sort, like a security system in the former and a a fight with her cousin in the latter, that of which involved it being infected with a virus, earning her alias. When she received her artificial parts is unknown. She is girl of teenage with greyish black hair, tied in a braid, with white headband and black, green, and blue streaked bangs . She usually wears a green halter dress with black shorts and boots. 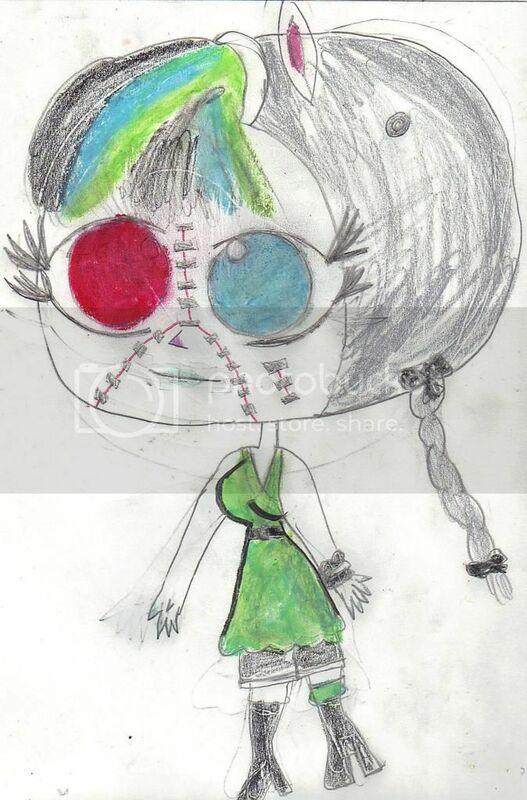 Her artificial eye is red and she has a jack in her head that allows her sync with computers. She also wears lipstick and has a Y-shaped scar that divides her face into three sections and one scar under her eye.